This time is me and my husband's two person show. 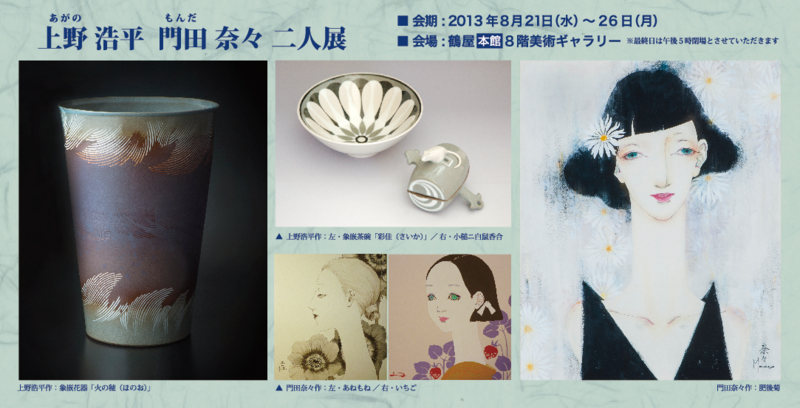 Please enjoy my husband's ceramic art works and my paintings. exhibition place ：Tsuruya department store. 8F ART gallery. I will give you cheers from Karatsu. Your parents told me the two person exhibition by the PR post card. from the same univercity Tokyo Geidai . father and his son Kohei and you. I was a teacher and a friend of your father's . Thank you for your message, Mr.Nakamura. I'm really sorry for late reply. 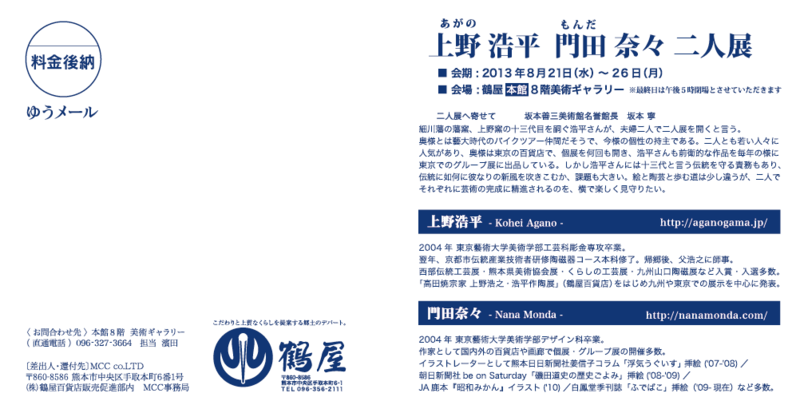 It's my first two person show at department store in Kumamoto. but always my father in law and my mather in law are help us. Thanks to everyone, that exhibition went smoothly. I'm so happy to come here, Kumamoto. I hope to have the chance to meet you someday.